BFP boilers are used for the generation and storage of domestic hot water using removable copper tube heat exchanger or electric resistance. They are made from carbon steel with 1-2-3 flanges and lined with porcelain enamel baked at 860° in compliance with DIN 4753. A magnesium anode, proportioned to the surface to be protected, is installed to provide long-lasting cathodic protection against corrosion. Models up to mod. 500 are insulated with rigid CFC-free polyurethane, 50 mm thick, whereas models 800 to 2000 included are insulated with 100 mm soft polyurethane. PVC external finish. 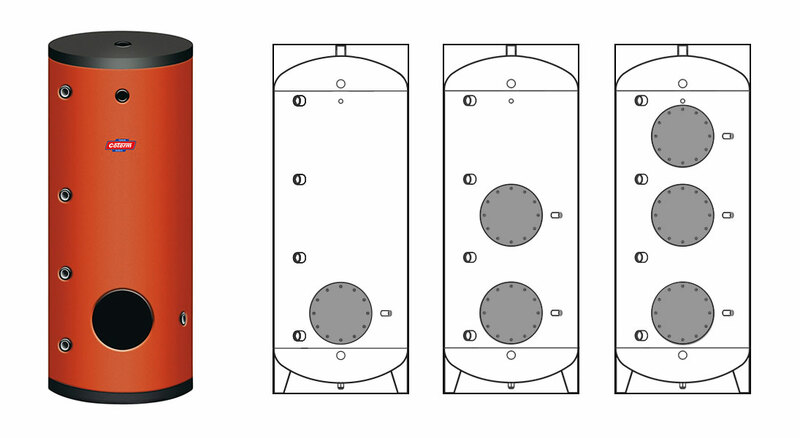 Fill in the form below to be e-mailed the BFP SERIES BOILERS technical data sheets. Thank you.